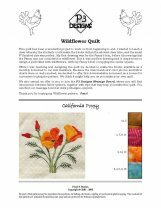 The Wildflower quilt is blooming with 25 different wildflower blocks. The blocks are set with 1" sashing, Sunflower & Morning Glory corner applique borders, and finished with a saw tooth border. 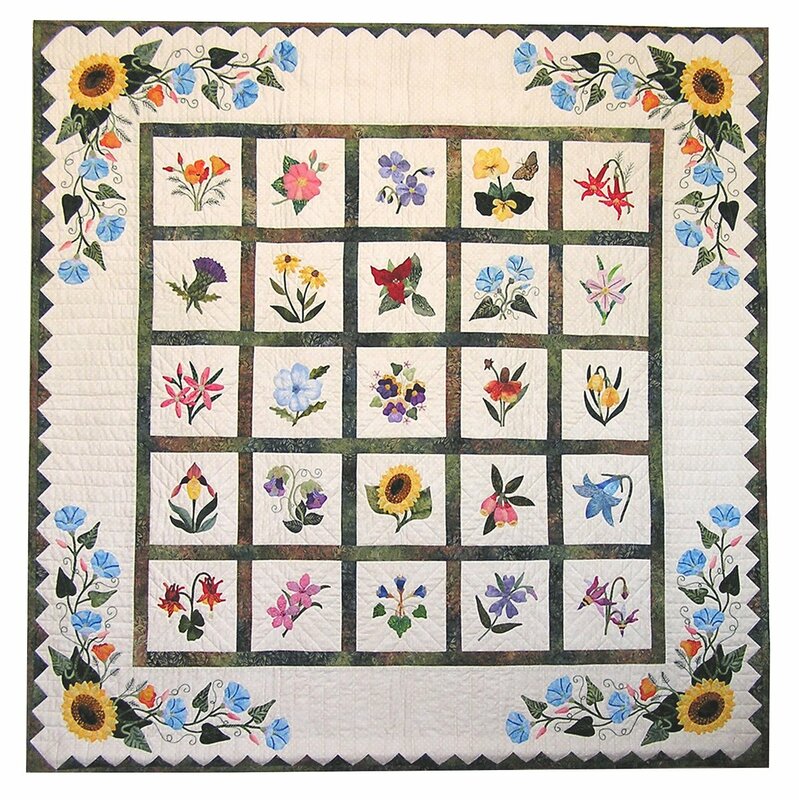 Pattern includes full size drawings for the 25 Wildflower 6" finished blocks, and border to make the 50" x 50" quilt. Instructions include step-by-step directions for Pearl's Easy Applique Techniques using freezer paper -- for hand or machine applique. Pattern purchase is required to be able to use the Chart. Click the link below for a Free Printable 13 page Color Placement Chart to help you with your fabric selections.